Isn't it soooo pretty and isnpiring? 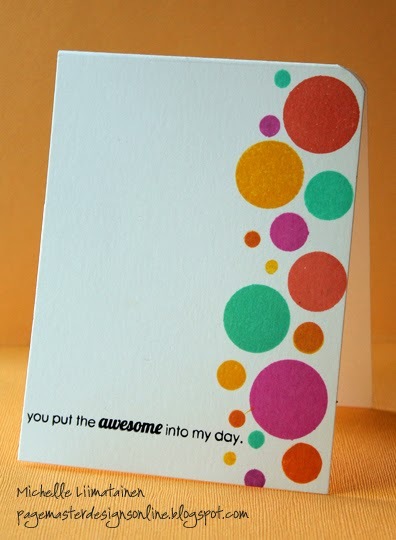 For this card I used the Simon Says Stamp Lots of Dots stamp and Hero Arts inks. I kept it really clean and simple. The sentiment is from Technique Tuesday. This card uses stamps from Inkadinkado. I have to say I wasn't really thrilled with the way the ink pooled on the stamp. Maybe it's because they have been uninked before. I don't know where they came from. I found them when I was looking for something fun to stamp. I'll try them again. I might try going over them with an eraser to see how that works. Again the inks are Hero Arts and the sentiment is from Hero also. I love both your cards! That inspiration photo was wonderful and you did a great job with it!! 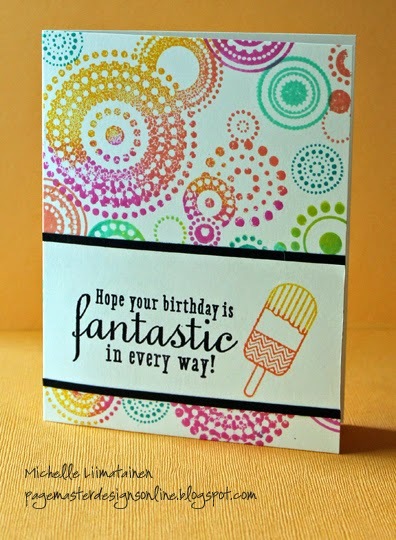 LOVE the colors and the lovely cards you created!! Fabulous cards! I love your bright, bold colors! LOVE your bubbles and circles! So fun!!!! Great stamping!!! 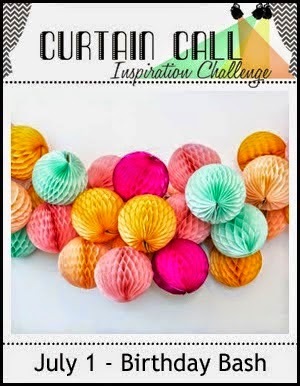 Great use of dots adn the colours. Thanks for joining us at The Curtain Call.